When you're packing up at home to bring dorm essentials to your residence hall room, you don't want to leave behind all of your jewelry. Jewelry is often what completes your outfit, and you want to make sure you have some on hand for nights out with friends or even just for going to class. The problem is that you are in college and you may worry about your jewelry finding a home in someone else's room. You also probably aren't sure where to store your jewelry - after all, you don't want to bring your nice jewelry box to your college dorm room that you normally have set up on your dresser. The solution? 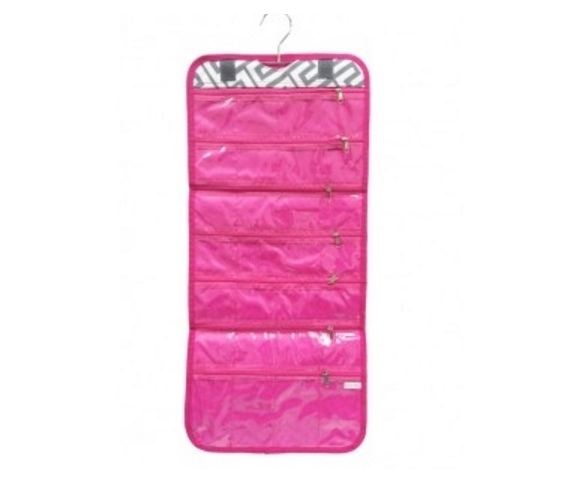 Our Compact Jewelry Folding Organizer in Gray. 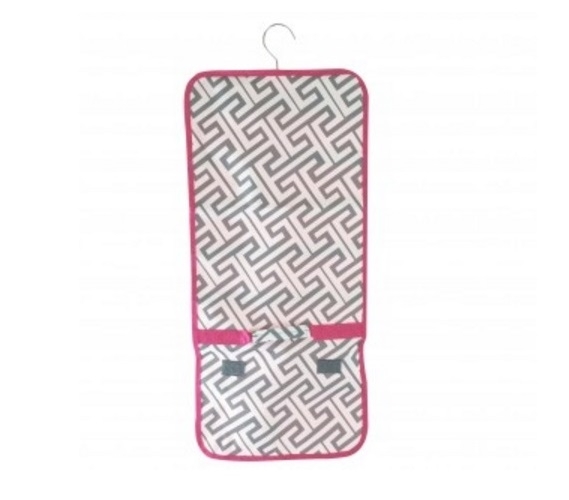 Our Compact Jewelry Folding Organizer in Gray has a pink lining along the inside while the outside has a pattern of gray and white. Along the top of this college supplies item is a hanger which will make college living easier. You can simply hang up this dorm essentials item right in your dorm closet and conceal it among your clothes so that only you know it's there. 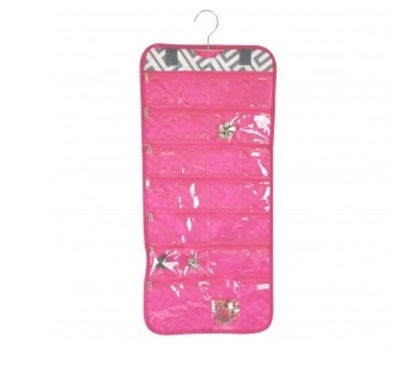 This dorm necessities item even has Velcro straps that keep it securely rolled up for easy transport or to store in the bottom of a dresser drawer. 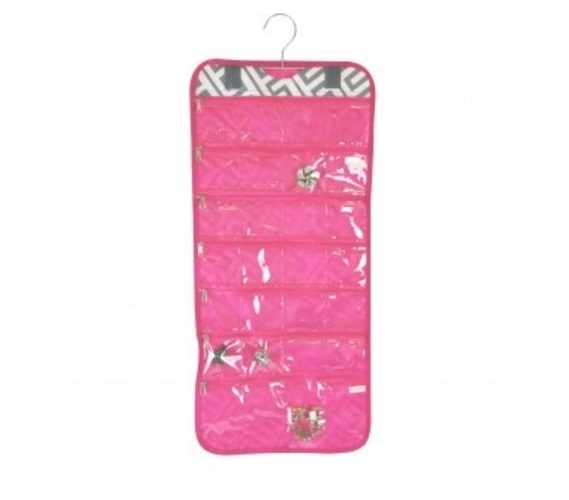 With 28 zipper closure pockets, you can keep your jewelry organized without worrying about anything falling out.